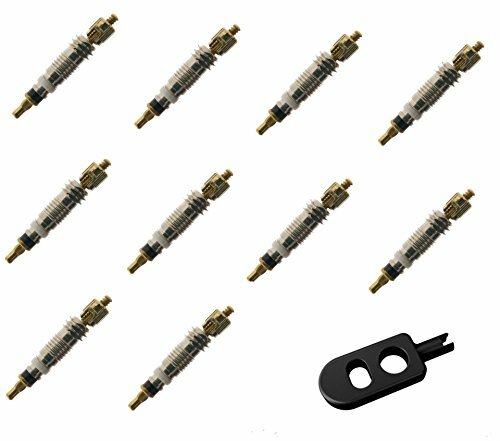 Universal Presta Valve Cores - Compatible with Road & MTB Valve Stems - tubeless or tubes. Used to stop air leaks from old valves. Can be used to replace bad Presta Valve cores. Uses Standard Thread. - Stop air leaks from old valves,replaces bad presta valve cores. 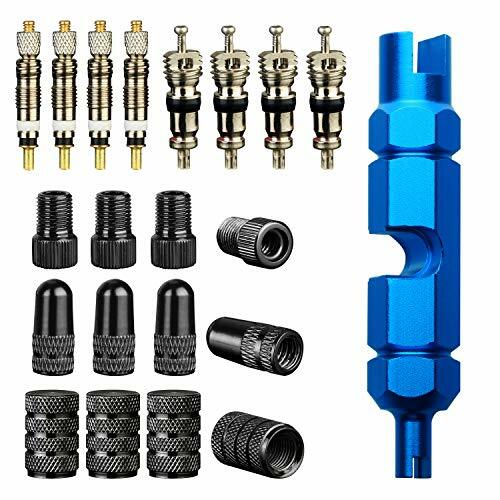 - Universal Compatible.Good airtightness.For Replaces bad Presta valve cores ,compatible with Road & MTB tubeless valve stem. 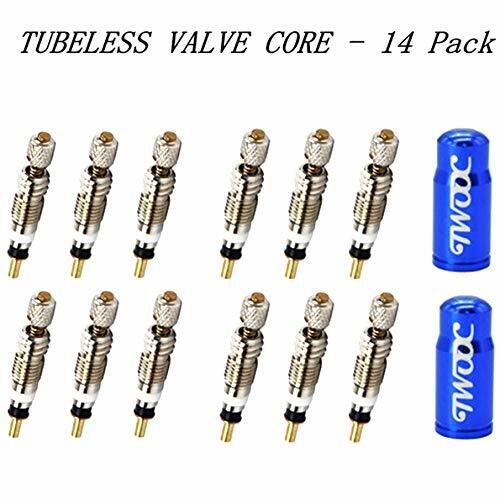 - Material: These valve cores is copper nickel-plated valve cores .The nickel plating enhances the corrosion resistance of the valve core and valve stem, especially when installing the valve core into an aluminum valve stem.More durable, safe and reliable. 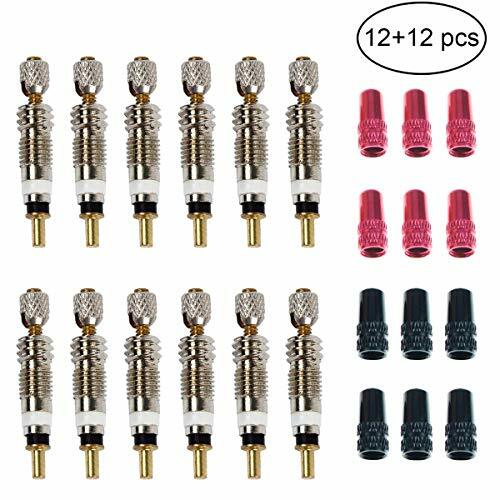 - Package Includes:12 Presta Valve Core And 2 Anodized Alloy Presta Valve Caps Compatible with Road & MTB Tubeless Valve Stems. 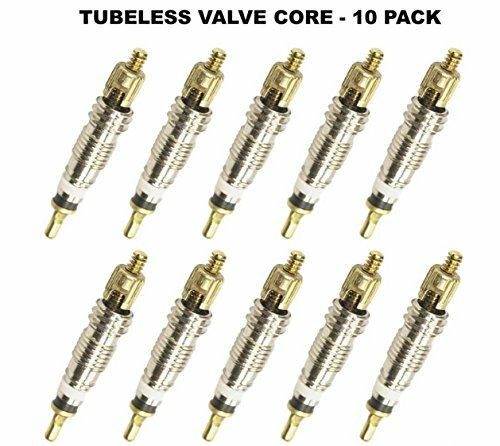 - 1 year warranty, satisfication or money back guaranteed.Note: ①This item is removable presta valve core, please make sure that yours tubes have removable valve cores before buy the item. ②There must be a specific Valve Core Remover Tool to install the valve core , and if you need you can buy it in this store. 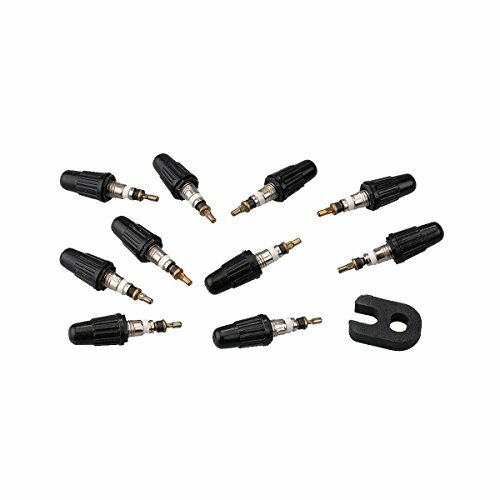 This item is Multi-function valve core remover tool,fits for presta & schrader valve stem core and presta valve extender. The smaller end is for bike and car schrader valve core.Use the middle wrench for presta valve extender. 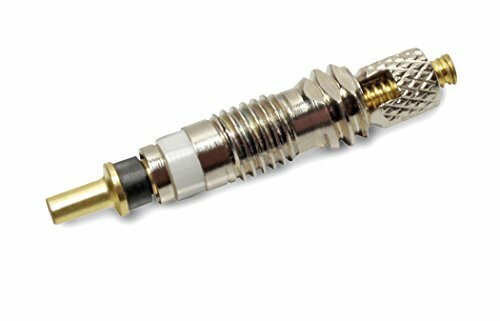 The bigger end is for Presta valve core.CNC-machined tool easily removes both Presta and Schrader valve cores.Universal Compatible with all Schrader & presta Valve Stems. 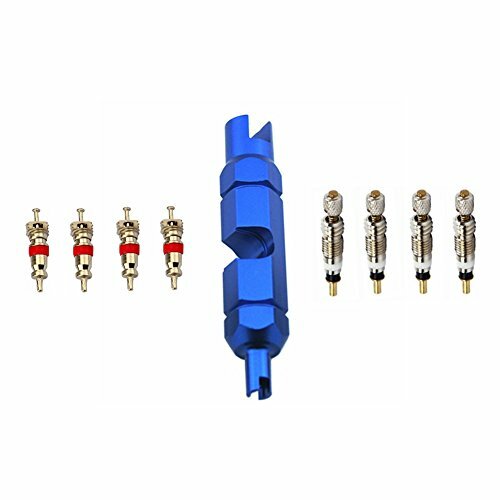 These valve cores is copper nickel-plated valve cores .The nickel plating enhances the corrosion resistance of the valve core and valve stem, especially when installing the valve core into an aluminum valve stem.More durable, safe and reliable. 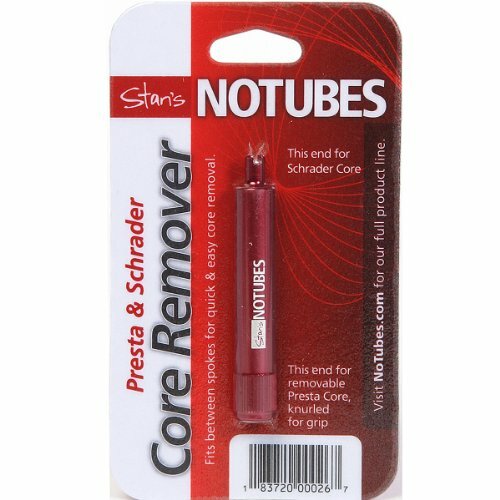 The No tubes Core Remover Tool is designed to remove presta and Schrader valve cores with ease and precision.